Why deal with the crowds, parking hassles, and same old picked-over merchandise at the outlets and malls? 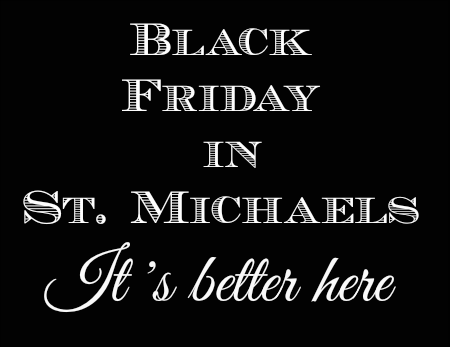 This year make Black Friday, a fun family outing in St. Michaels. You'll find great shops, big savings, unique gift ideas, and Holiday shopping the way it used to be. Free parking throughout St. Michaels.